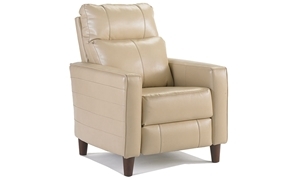 Tan handcrafted push back recliner features a comfortable three-way recline mechanism and steam bent wooden arms. 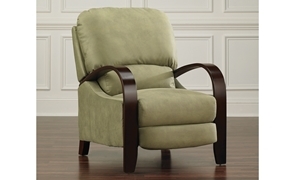 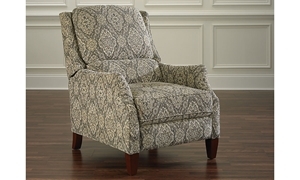 Green handcrafted push back recliner features a comfortable three-way recline mechanism and steam bent wooden arms. 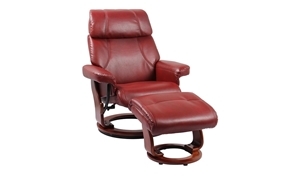 Ergonomic recliner swivels and features an adjustable headrest, plus matching ottoman, tailored in ruby red faux leather. 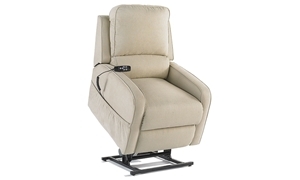 Contemporary recliner showcases an ergonomic design with an adjustable headrest, 140-degree recline, a swivel base and matching ottoman. 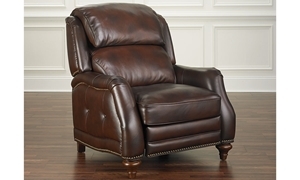 Sophisticated English roll arm recliner features deep seating upholstered in top-grain leather. 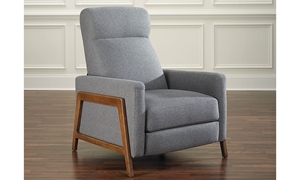 Angular silhouette in soft gray upholstery with contrasting exposed wooden frame. 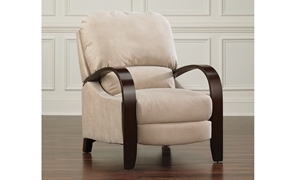 Sumptuous back cushion and contoured roll arms for superior comfort. 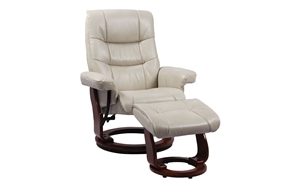 Power reclining high leg arm chair with USB in leather-look upholstery. 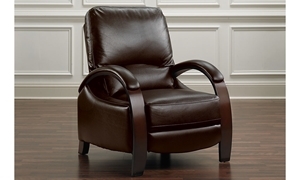 Bent wood arms and deep brown leather-look upholstery give this comfortable push back high leg recliner a chic contemporary look. 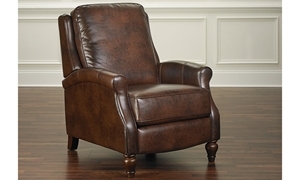 Whether you are interested in a beautifully crafted recliner, upholstered or in a rich leather finish, or something made just for comfort, we have it at Haynes Furniture.